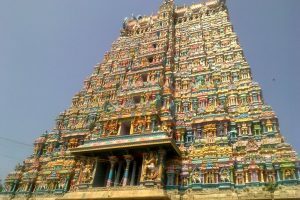 What is the Purpose of Temples? Question to Radhanath Swami: What is the purpose of temples? Radhanath Swami Answers: A temple is a place where people are in a selfless spirit of compassion and love, and are truly worshipping God and surrendering their hearts to him. A temple is a place that transforms your life, by illuminating you and bringing you to higher states of consciousness and higher states of living. 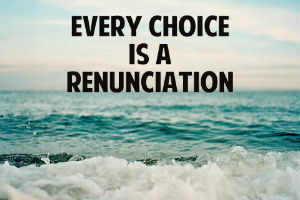 What is the True Spirit of Renunciation? Question to Radhanath Swami: Beautiful. I’d like to ask you about the true spirit of renunciation because it’s something a lot of us don’t understand. We think of it as just giving up things but there’s a richer side of renunciation that gives one things we can’t get from the world. 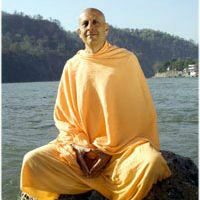 Radhanath Swami Answers: True renunciation is not becoming a monk or swami, living homeless and sleeping on the floor. 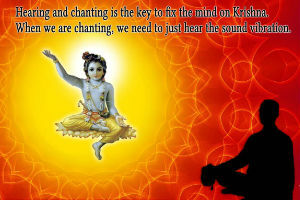 What was your experience when you first heard Hare Krishna chanted? Question to Radhanath Swami : I was curious to know how your experience was like when you first heard the Hare Krishna mantra chanted by the Hare Krishna monks. 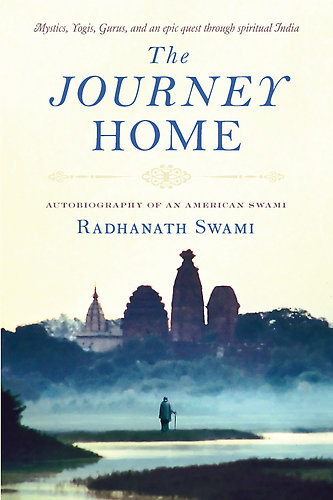 Radhanath Swami Answers : In the book The Journey Home I tell the story of how I first heard the Hare Krishna mantra. I didn’t hear it in the Hare Krishna movement. It was given to me in a way, by what I believe, was a profound grace. I was fasting and sitting on the bank of the Ganges in the Himalayas, in Rishikesh. After weeks of meditation I heard in the current of Mother Ganga this beautiful mantra being sung. In the Hare Krishna Mahamantra, what does ‘Hare’ mean? Question to Radhanath Swami: In the Hare Krishna Mahamantra, what does ‘Hare’ mean? 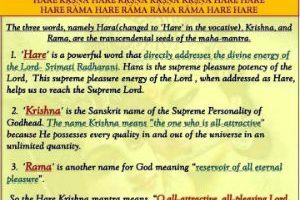 Radhanath Swami Answers: ‘Hari’ is a name of Krishna. ‘Hari’ means one who steals our hearts by his all attractive, all beautiful, and all loving qualities. And ‘Hare’ is a calling for ‘Hara’. Hara is the feminine aspect of God. In many traditions, both in the East and in the West, especially in the more mystical depths of their philosophy, there is the concept of feminine divinity. What about chanting in other traditions? Question to Radhanath Swami: In many other traditions – Christian and Buddhist traditions – there is chanting of a devotional nature. Through those chanting can one expect to gain similar results as gained through the chanting of the Mahamantra? Radhanath Swami Answers: The power of transcendental sound has been accessed by various traditions, throughout history and throughout the world. Question to Radhanath Swami: When we chant, with what consciousness should we chant? What thing should we keep in mind while calling the Lord? Answer by Radhanath Swami: Like a child crying for its mother we should chant the names of Krishna. We should take the shelter of Krishna who has so mercifully appeared within the name. Life: In this section,Radhanath Swami answers questions concerning application of spirituality in practical life. It’s one thing to know what the scriptures say. But imbibing what they say in daily life is a science in itself. Insight: Answers given by Radhanath Swami that provide deeper insight into various issues will be blogged here. 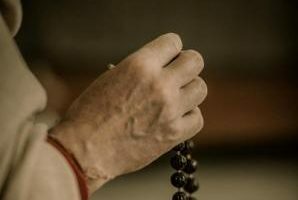 Nature: Radhanath Swami tells what lessons we can learn by observing the way material nature, with its living and non-living components, functions. 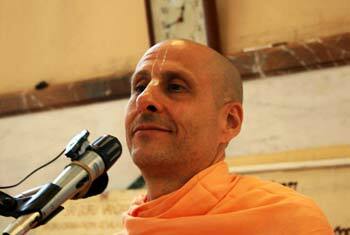 Events: Radhanath Swami’s outlook to major events of the world. How one takes an event depends upon one’s state of consciousness. Therefore the same event is perceived differently by different people. Do the Right things, still land in trouble! Does bhakti Yoga Counteract the influence of time? © 2019 Radhanath Swami onLINE.